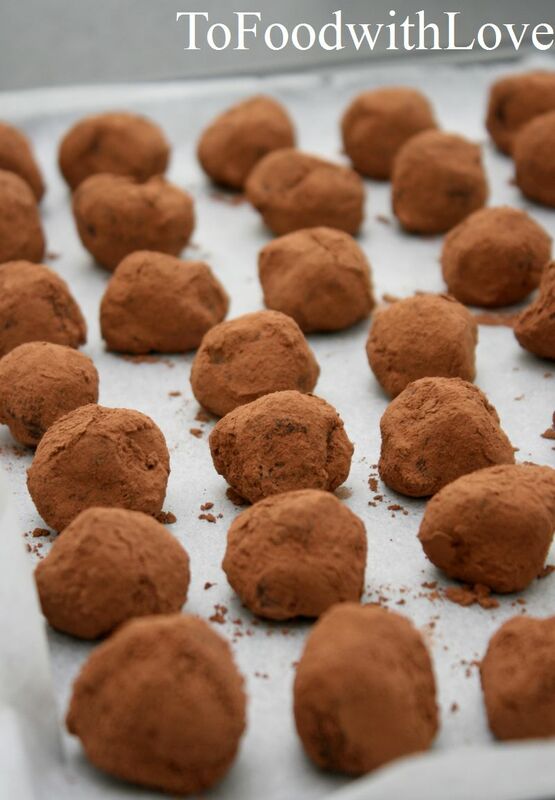 To Food with Love: Chocolate Truffles Galore! We were invited to a party last weekend and I couldn't think of anything to bring for the host, except perhaps buy a box of chocolates. Then I figured it would be a good idea to bring homemade ones instead. Truffles are easy to make (although it was my first time making them), they taste heavenly melt-in-your-mouth and it's fun making different coatings for them. 1. Place cream and butter in a pot and bring to a boil, stirring occasionally to avoid splattering. 2. Pour over chocolate pieces and let it sit for 5 minutes. 3. Whisk mixture till smooth and glossy, making sure all the chocolate is melted. Refrigerate overnight. 4. Prepare coating ingredients by placing them in a dish. 5. Working quickly with a teaspoon, scoop the chocolate into little irregular-shaped balls and roll them in the coating till evenly coated. If chocolate starts to melt and gets harder to work with, put it back in the fridge to harden before making again. 6. 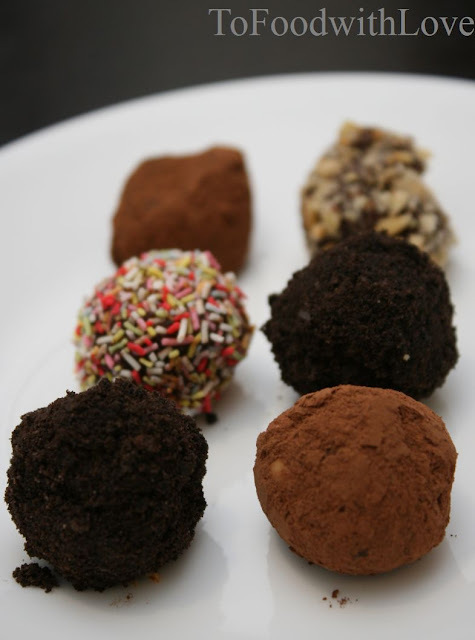 Place ready truffles on baking / parchment paper, cover and store in fridge. These can be eaten cold or at room temperature. 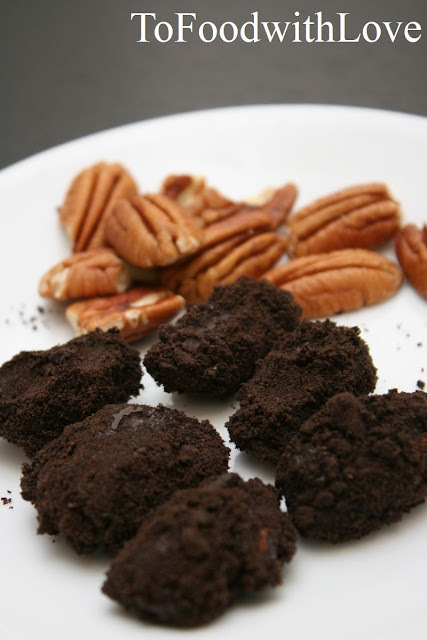 I also tried coating some toasted pecans in melted chocolate, then dipping them in crushed oreos for a second coating. These are yummy too!